After Sleigh Bells finished their tour with Red Hot Chili Peppers and then embarked upon a whole new adventure for summer 2012, they’ve decided to add even more dates to their tour. Not only are they sharing the stage with Hot Chip, Jel, and Class Actress in July, they just added dates with the recently reunited Refused in August. Find the dates after jump. 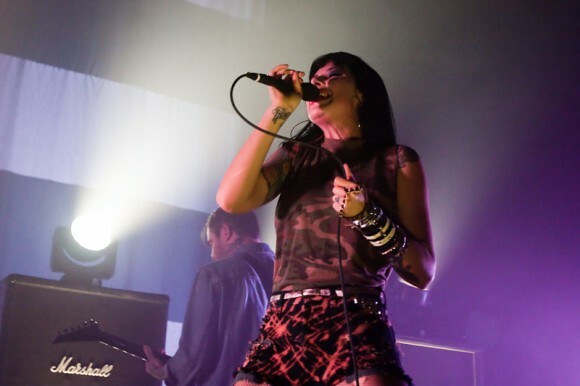 Sleigh Bells will be touring for their new album Reign of Terror. Check out the dates below and make sure you don’t miss at least one. Then check out one of the new songs they will be playing.